Forget about those tiny mittens for winter babies. 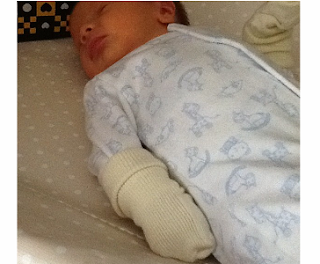 Use your baby's older brother's or sister's woolly socks - clean, of course! The socks will pull up high enough so baby can't get them off easily, and snow, etc. can't get in either. Thanks to Arlene for this Frugal Baby Tip! Opt for mittens, not gloves. Itty-bitty fingers are also super susceptible when the temperature drops, so always make sure your baby or young child's hands are covered — preferably with mittens, which keep those dainty digits in close company so they can work together to stay warmer.